Jump from trampoline to trampoline. 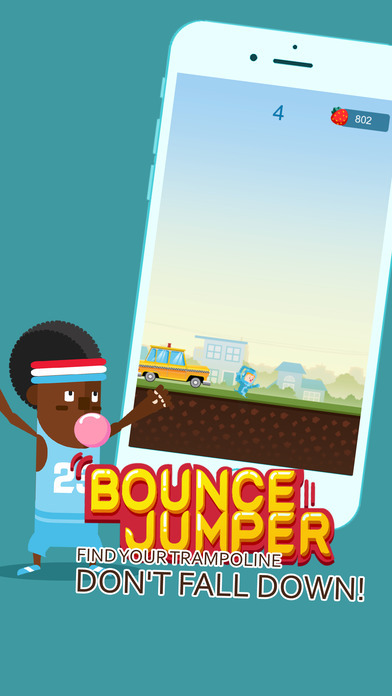 Simply swipe the screen to control your character move to the next trampoline. Creatively added interia to the game. Longer you swipe or touch the screen, futher your character goes. 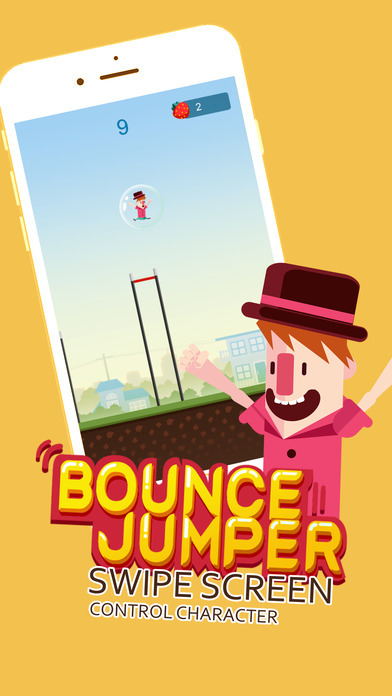 Collect strawberries in the sky to unlock more new characters. · Unlock Cool Cute New Characters. 1. Lightly swipe to control. 2. Collect stawberries to unlock characters. 3. Magic bottle can make you float safely in a bubble for a while. 4. Trampoline will break down once you jump on. 5. You can land on the cars unlimited, but some of them will move.